We have had a minnow run this past week and hopefully that will bring some fish into the river. River fishing continues to be spotty. The Rainy River, Ontario, fishing tournament this past weekend had 90 two man teams; fishing only the Canadian side of the river and most had tough fishing. The fishing on the Lake out in front of the Gap and Pine Island in 26-28 feet of water continues to be good. We have had some beautiful and unseasonably warm weather the past few days. On Wedneday morning, Diane and I put the boat in across from the house and took a ride down the river. The leaves are turning color with lots of yellow and gold mixed in with the green. We went out through the Gap to 28 feet where there was a group of boats; most all were anchored up. We fished for a short time and with not much going on, we moved west a mile or so where there was another small group of boat. Same thing, so we pulled anchor and moved towards shore to just under 27 feet. We were all by ourselves and when is was all said and done we had caught close to twenty walleyes and saugers. 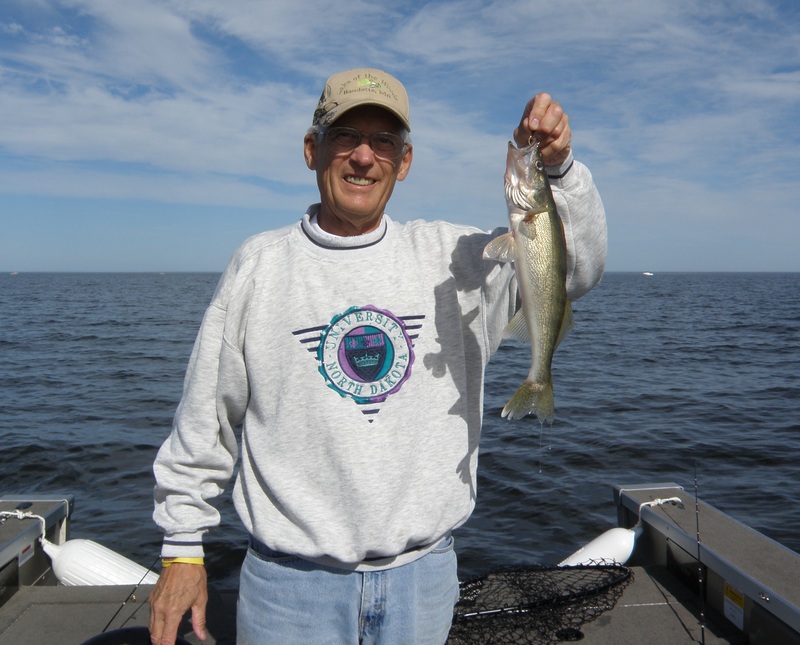 We kept four nice walleyes and eight saugers. 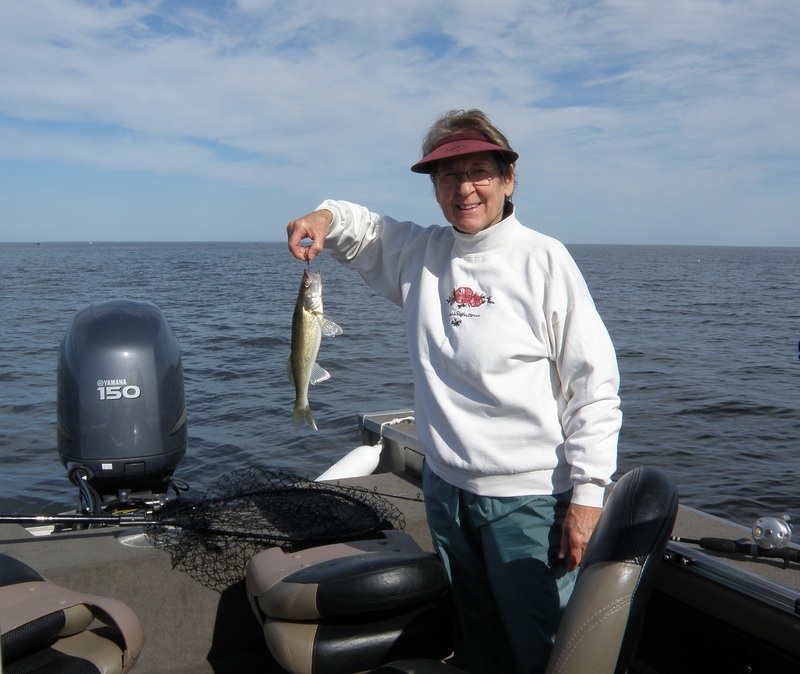 Diane had the hot hand, using a purple jig with big glassy eyes tipped with a frozen shiner.